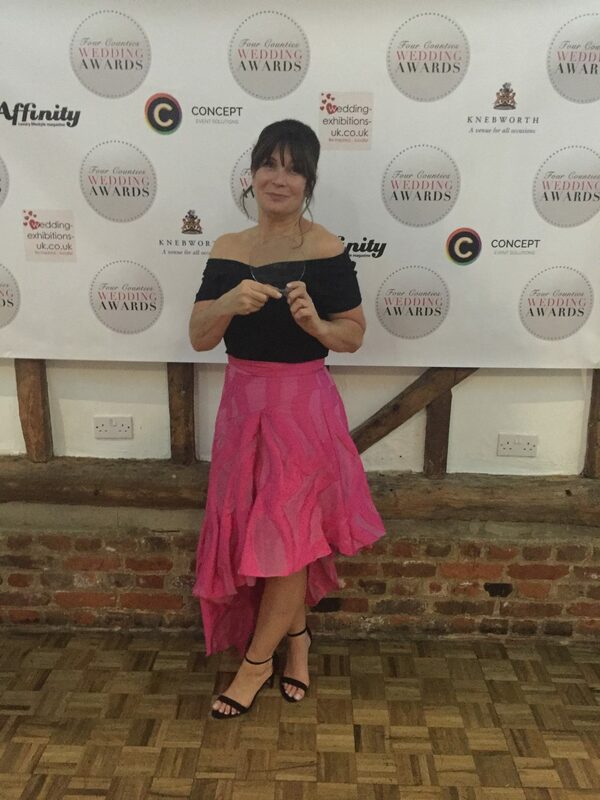 The Four Counties Wedding Awards covers the four counties of Cambridgeshire, Bedfordshire, Hertfordshire and Buckinghamshire. Every year they hold a spectacular gala evening to recognise those suppliers who are outstanding in their field. It is judged by a panel of very well respected wedding industry judges as well as feedback from suppliers wedding couples. I was encouraged to enter this year by a wedding industry colleague and boy oh boy am I glad I did! I only went and won my category for “Best Special Touch“. It was a Cuban themed night which meant dressing up Cuban style!! I’m not one for dresses, so I went for a skirt from Coast and a bardot top from Ralph Lauren. The worst part of my outfit was having to wear heels!! I just don’t do heels!! I can’t walk in them at all. I was terrified when my name was announced and I had to walk across a slippery dance floor to the stage to collect it. All was well though and I didn’t fall over! It was also lovely to meet so many other local wedding suppliers. So much talent in one room. We all have a common theme and that is to be the best of the best and give our wedding couples the ultimate professional service on their big day. Wedding suppliers are popping up all over the place now and they can’t all be trusted to do the job they promote. Katrina Otter is a very well respected wedding planner I know and she has written a great post about choosing your suppliers. You can of course look on the winners list at The Four Counties website! 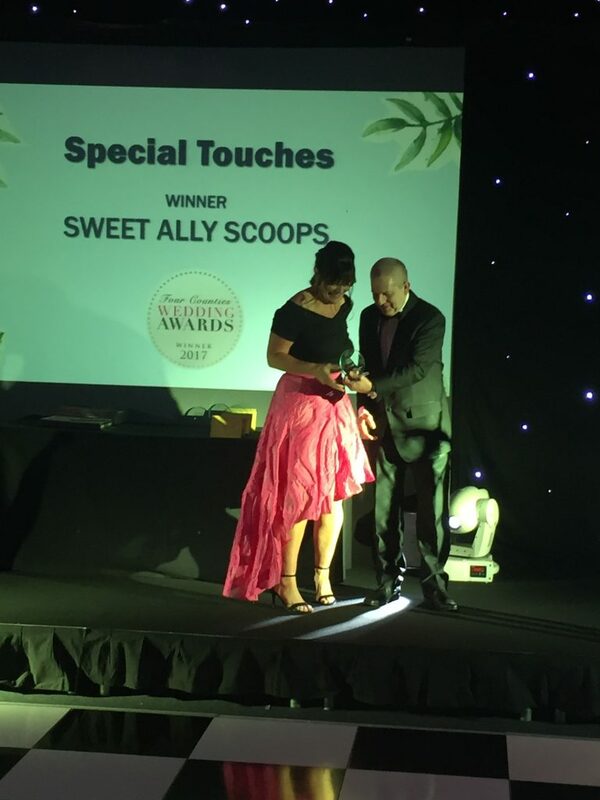 I had such a great night and am still utterly gobsmacked to have won my award but I wouldn’t have won it without the support of all my amazing 2017 couples.